The Citizen L Collection represents the epitome of a ladies timepiece, showcasing all the sophistication, style and power that appeals to today's woman. 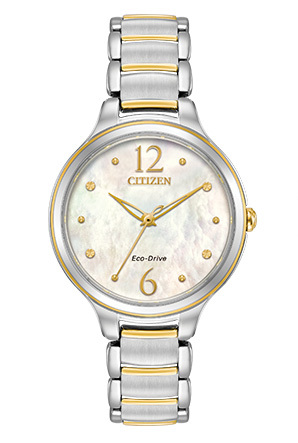 The simplicity of the Citizen L case is partnered with an elegant white Mother-of-Pearl dial. Featured here in a stainless steel with Eco-Drive Technology.